Lynne & the Blues Muse performing at Ground Zero Blues Club, Clarksdale, MS, at the launch of Delta Blues. Lynne Barrett is the award-winning author of the story collections The Secret Names of Women, The Land of Go, and, most recently, Magpies, which received the Florida Book Awards Gold Medal for General Fiction. What Editors Want: A Must Read for Writers Submitting to Literary Magazines, published by Rain Chain Press, has recently gone into its second printing. The essay on which it is based, published in The Review Review, was featured in the L.A. Times Book Blog and republished in Glimmer Train's digest. Barrett edited Tigertail: Florida Flash, and co-edited Birth: A Literary Companion and The James M. Cain Cookbook, a collection of Cain's nonfiction. Her work has appeared in many journals including New Flash Fiction Review, River Teeth's "Beautiful Things" series, Mystery Tribune, The Miami Rail, The Southern Women's Review, Fort Lauderdale Magazine, Ellery Queen’s Mystery Magazine, Necessary Fiction, Painted Bride Quarterly, Night Train, and Real South. Anthologies and textbooks where her stories can be found include Flash! Writing the Very Short Story, Just to Watch Them Die: Crime Stories Inspired by the Songs of Johnny Cash, Fifteen Views of Miami, Trouble in the Heartland, Blue Christmas, One Year to a Writing Life, Delta Blues, A Dixie Christmas, Miami Noir, Simply the Best Mysteries, A Hell of a Woman, Mondo Barbie, and many other anthologies and journals. She has received the Edgar Allan Poe Award for best mystery story from the Mystery Writers of America, the Moondance International Film Festival award for Best Short story, and fellowships from the Florida Division of Cultural Affairs and the National Endowment for the Arts. A graduate of Mount Holyoke College, she received her M.F.A. from the University of North Carolina-Greensboro. She teaches in the M.F.A. program in Creative Writing at Florida International University and edits The Florida Book Review. Lynne took part in a discussion of "Submitting Etiquette" for The Review Review. Geoffrey Philp interviewed Lynne for his blog about the writing life and my class in Literary Journalism. Laura Valeri interviewed her for Bookslut. Dena Santoro wrote a wonderful appreciation of the (bad) girls in Lynne's short stories, at Like Fire. "Angles of Belonging," a guest blog about having grown up in NJ, being a "Florida writer," and the many ways characters can connect to place, is at Lisa Romeo Writes. At The Writerly Life, Gerry Wilson and Lynne discussed thinking about a story's edges and the ever-challenging issue of trying to get too many things done. On Casey Pycior's blog, The Story is the Cure, we discussed, among other things, Lynne's story "Links" and unanticipated consequences of writing about the dot com world. Laura Richardson interviewed her about Magpies, plot, editing, and much more for Sliver of Stone Magazine. Angela Kelsey did a four-part (they're short!) interview with me on her blog. Topics covered include how suspense is created in literary stories, and tips for writers. Listen to Ariel Gonzalez interview Lynne Barrett on WLRN Miami Public Radio's Topical Currents. 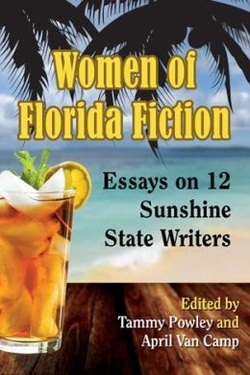 Women of Florida Fiction, Essays on 12 Sunshine State Writers, edited by Tammy Powley and April Van Camp is out from McFarland. "Florida as symbol and myth is the subject of this collection of new critical essays exploring fiction written by female Floridian authors." Scholar Claudia Slate wrote the chapter on the stories in Magpies, and the book’s final section includes interviews with authors Lynne Barrett, Jeannine Capó Cruz, Vicki Hendricks, and Angela Hunt. Necee Regis interviewed Lynne (and compares reading the collection to eating Belgian chocolates) at the Beyond the Margins. Casey Pycior interviewed Lynne for his blog, The Story is the Cure. Among other things, Lynne discusses how the story "Links" got inadvertently linked, and then delinked, online, unanticipated consequences of writing about the dot com world. The Miami New Times' interview about editing Tigertail, A South Florida Annual: Florida Flash. Emily Bingham of U. South Alabama interviewed Lynne on writing and her story "Blues for Veneece." A Micro-Interview for Boston's Grub Street Daily. Read the interview here. Magpies won the Florida Book Awards Gold Medal in General Fiction. 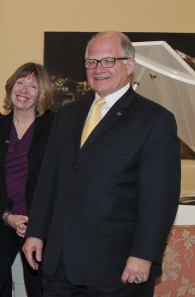 In March 2012, Lynne was among the authors who received Gold Medals in the Florida Book Awards at the Florida Heritage Awards Ceremony in Tallahassee. The festivities included a lunch at the Governor's Mansion, and a book signing arranged by Florida's History Shop in the R.A. Gray Building. Winners were further honored at the April 2012 Florida Library Association conference in Orlando. The summer 2012 issue of FORUM, the magazine of the Florida Humanities Council, includes a salute to the Book Awards winners. Magpies has its own page. Lynne was chosen as one of the 2012 Florida International University Top Scholars, and featured in a full-page ad for the university in the Miami Herald. and an Excellence in Research Award in 2003. Edgar Award for Best Mystery Story from Mystery Writers of America for "Elvis Lives,. In April 1991, Lynne went to New York City and posed for this photo in the afternoon. The champagne in the photo is gingerale, but a good deal of the real thing was consumed that evening before she found herself being chosen for the Edgar and giving a speech. Shethanked Ellery's Queen's Mystery Magazine, and editor Eleanor Sullivan, and the MWA, and even Poe. Moondance International Film Festival Award for Best Short Story, for "Beauty," 2001.